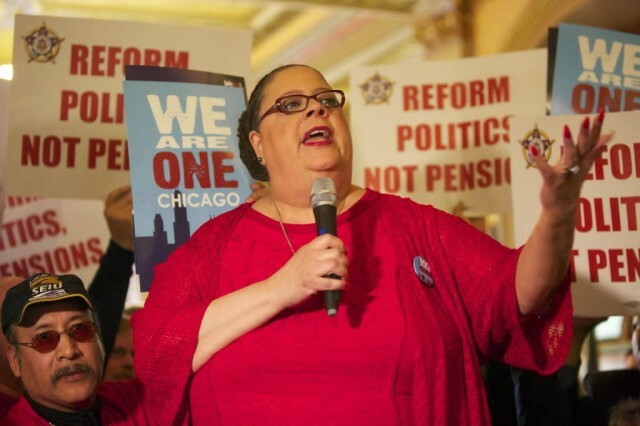 Chicago Teachers Union President Karen Lewis rallies municipal workers to stop pension cutbacks. 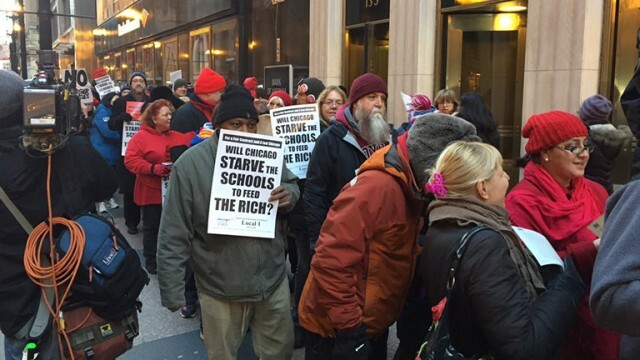 The CTU led a militant strike earlier with a chief demand to stop school closings. CHICAGO – The Illinois Supreme Court sent Chicago back to the drawing board to fix two pension funds that account for half of a $20 billion unfunded pension burden that has dragged down the city’s credit. In an 18-page opinion released Thursday, the state’s high court upheld Cook County Circuit Court Judge Rita Novak’s July ruling that declared the 2014 overhaul of the city’s municipal employees’ and laborers’ funds unconstitutional because of benefit cuts imposed on retirees and employees. Illinois Supreme Court Justice Mary Jane Theis wrote the unanimous decision; 2 justices recused themselves. The high court rejected a state employees’ pension overhaul in 2015, also citing the pension clause. The plan was to have put the two funds on course to achieving a 90% funded ratio in 40 years through benefit cuts and higher contributions from the city and employees. The city’s contributions were to rise from $177 million in 2014 to a projected $650 million in 2021. The legislation phased in a shift to an actuarially required contribution from the current statutory requirement in which employees pay 8.5% of their salary and the city’s payment is based on a percentage of the total employee payments. Those contribution levels have long fallen short of what’s needed to keep the funds solvent. 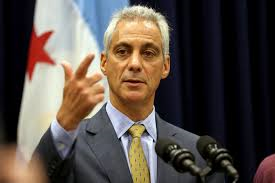 Chicago Mayor Rahm Emanuel, formerly Obama’s Secretary of Education. He is a strong advocate of charter schools. The ruling gives the city a near-term boost by freeing it of the requirement to make a nearly $100 million higher payment to the funds this year. The long-term repercussions are more profound because both funds are on track to exhaust their assets in the next 10 to 13 years. “In the short run it buys them some relief and time but the city has had time to prepare for the decision and the market is going to expect a quick reaction from the city on what its contingency plan is,” said Richard Ciccarone, president of Merritt Research Services LLC. Mayor Rahm Emanuel offered little detail on potential solutions. 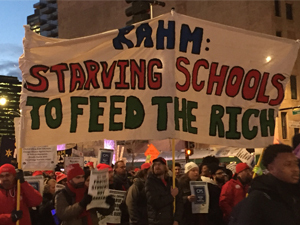 CTU rally: will they starve the schools to profit the rich? “My administration will continue to work with our labor partners on a shared path forward that preserves and protects the municipal and laborers’ pension funds, while continuing to be fair to Chicago taxpayers and ensuring the city’s long-term financial health,” his statement said. Any prolonged setback in tackling the city’s pension ills could drive further downgrades and impact the trading value of its debt and future borrowing rates. Chicago’s ratings plummeted over the last several years, primarily due to the pension strain. 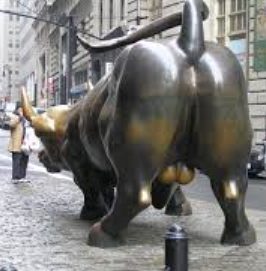 Wall Street bull shows its a– to pensioners. 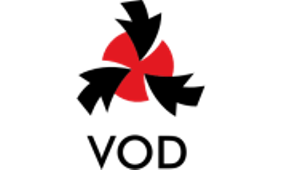 It carries a junk-level rating of Ba1 from Moody’s Investors Service, with a negative outlook; BBB-plus ratings from both Fitch Ratings and Standard & Poor’s with both assigning negative outlooks; and is rated A-minus with a negative outlook by Kroll Bond Rating Agency. Moody’s recently warned that a “failure of the city to develop and implement an alternate plan to fund non-public safety pensions should the Illinois Supreme Court rule the city’s 2014 reform statute unconstitutional” could drive a downgrade. Fitch has since cut the city’s ratings to the lowest level. See http://www.chicagotribune.com/business/ct-fitch-rating-chicago-20160328-story.html. The court rejected both arguments laid out the city. The city portrayed its reforms as preserving the pension funds rather than damaging them and argued that union acquiescence through negotiation at the time rendered the changes legal. 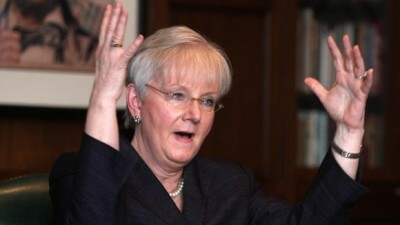 The two were labeled the “net benefit” and the “bargained for exchange” claims. 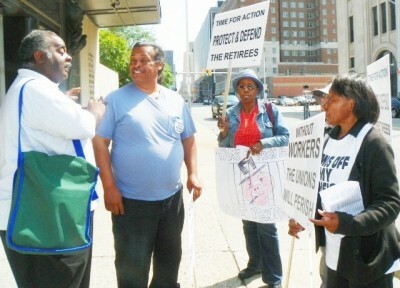 Workers rally to protect pensions. “Ultimately, the city’s ‘offsetting benefit’ theory rests on the proposition that what it deems as ‘modest diminishments’ are necessary to prevent insolvency in the future. Although we recognize that fiscal soundness is important, the General Assembly may not utilize an unconstitutional method to achieve that end,” justices wrote. The court rejected the city’s contention that the legislative changes awarded stronger protections to annuitants’ benefits because of guaranteed funding provisions that made clear the city was on the hook for their retirement benefits. The language appears to cast doubt that the city could successfully argue that it’s not on the hook should the funds exhaust their assets. In Detroit’s bankruptcy, AFSCME Council 25 DID bargain away not only pensioners’ rights, but nearly all the assets of the City of Detroit. Here AFSCME Co. 25 President Al Garrett confronts protesters after he said AFSCME was withdrawing its 6th Circuit Court appeal of the Detroit bankruptcy eligibility decision. That decision represented the first time a bankruptcy judge overruled the State Constitution’s protection of pension rights. The court said it considered the city’s characterization of the reforms as a “bargained for exchange” of benefits allowed under laws governing contracts, but concluded the agreement with a majority of unions failed to meet the needed threshold. The members bringing the lawsuit had countered that all funds members and retirees were not necessarily represented by those at the negotiating table. Lawmakers are looking to the court’s opinions for a roadmap on what reforms that could pass muster and the opinion appeared to leave the door open for changes that stem from a formal collective bargaining process. The group “Reboot Illinois” has proposed numerous state constitutional amendments, including one to repeal the pension protection clause. “The fundamental point here is that determination must be made, if at all, according to contract principles by mutual assent of the members, and not by legislative dictates,” the opinion said. At the state level, lawmakers later this year or next are expected to consider a pension reform plan that would ask members to accept annual cost-of-living-adjustment cuts in exchange for pay raises being counted toward pensionable salary. 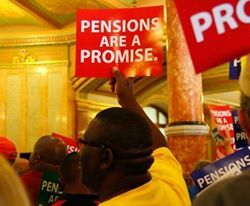 “This should be yet another wakeup call to every member of the Illinois General Assembly and the Governor that they need to come together and work without delay to pass a balanced budget that will stabilize the state of Illinois financially and begin to address the pension and debt crises of the City of Chicago and so many local governments in our State,” the federation added. 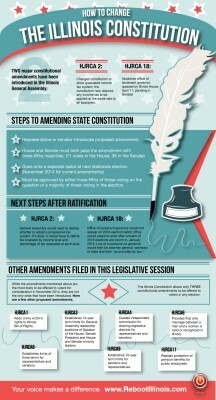 “It’s long past time for elected officials to stop trying to end-run the constitution and shirk their duty. Pension funding challenges require funding solutions that must be constitutional and fair to all,” the four unions that mounted the successful challenge said in a joint statement. Chicago faces a significantly bigger jump in contributions to rescue the funds from insolvency without union concessions, but will be hard-pressed to come up with a palatable revenue source. The city already enacted a $543 million annual property tax hike last year to cover rising contributions owed to the police and fire funds, which account for the other half of the city’s unfunded liabilities. 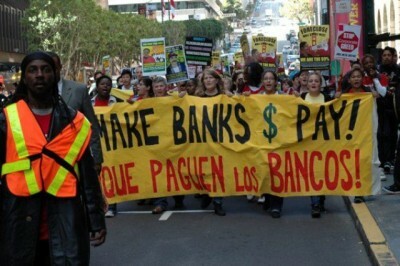 Occupy Oakland marches in California against the banks. The need for a new fix comes as uncertainty remains over whether the state will give final approval to Emanuel’s proposal to re-amortize the payment schedule on the city’s police and firefighters funds. The big property tax hike is being phased in and this year falls $220 million short of what’s needed to cover rising payments on an actuarial basis because the city assumed the state would sign off on reamortization. That change has been caught in state political gridlock. The city’s challenges are exacerbated by the overlapping burden on the tax base of the park district, Cook County, and the Chicago Public Schools’ – all with their own pension and/or budget headaches. “In addition to growing leverage, we also continue to assess the role that fiscal stress of Chicago Public Schools plays in the city of Chicago’s credit challenges,” Moody’s said Thursday. The judgment was unanimous among participating Justices Robert Thomas, Mary Jane Theis, Thomas Kilbride, Lloyd Karmeier, and Chief Justice Rita Garmen. Justices Charles Freeman and Anne Burke recused themselves. 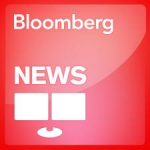 It marked the court’s third ruling that has affirmed the strength of the pension clause’ protections, first in a ruling that the clause applies to state employee retiree healthcare benefits and then in the 2015 decision voiding state pension reforms. The city overhaul legislation — Public Act 98-0641 — was to take effect Jan. 1. The case is Jones, et al. v. Municipal Employees’ Annuity and Benefit Fund of Chicago, et al. The city’s four funds are collectively 34% funded. What is never mentioned by advocates of pension cuts is that the real robbers of government funds are the banks themselves. In Illinois, according to a report from Ballotpedia, Illinois state debt in 2012 was $321.4 BILLION. Chicago’s current debt load is $63.2 billion, of which $31.2 billion comes from pensions, while long-term bonded debt is $26.1 billion. Much of state and city debt is due from Wall Street-sponsored interest swap agreements that went south after the 2008 global economic crash. 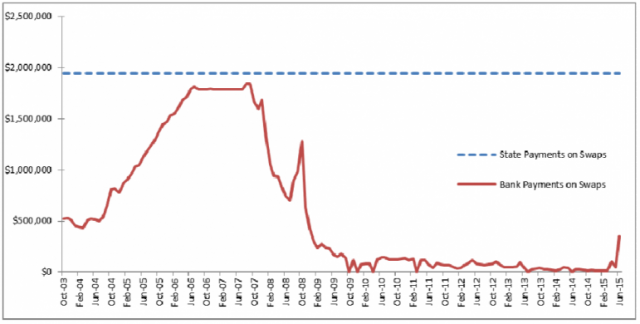 See chart below which shows the rate of Illinois state payments on swaps compared to the declining load on banks. The Chicago Teachers Union and supporters occupy Bank of America Feb. 6, 2016, sustaining arrests. The union also withdrew $726 million of its funds from BOA as part of the challenge. The Chicago Teachers Union, unlike unions in Detroit and Michigan including the UAW, AFSCME, and the American Federation of Teachers, which have capitulated regularly to demands for concessions, has taken on the banks in its battle to preserve its members’ rights, and to preserve schools and services for residents of Chicago. This entry was posted in Uncategorized and tagged Beatbackthebullies, blacklivesmatter, blacklivesmatterDetroit, Canceldebttothebanks, DAREA, Detroitbankruptcyunconstitutional, ExecuteWallStreet, Handsoffmypension, IllinoisSupremeCourt, JailSnyder, MaketheBanksPay, RecallSnyder, RepealPA436, saveourchildren, Saveourstateconstitutions, StandUpNow, StopSnyder, StopWaronBlackAmerica. Bookmark the permalink.